Whenever we make a trip to Costco, I always stop to browse the books aisle, and every once in a while I come across some finds that make their way into the cart. Earlier this summer I found a big paperback book simply called Thai & Asian by Deh-Ta Hsiung (previously published as Thai and South-East Asian Food and Cooking). With a plethora of gorgeous dishes from Thailand, China, Vietnam, Japan, and Korea, as well as over 100 pages of information on ingredients and proper Asian cooking gear, this book was a no-brainer and a bargain at US$9.99. My memories of the food I enjoyed on a trip to Koh Samui and Phuket in the mid 90s are imprinted in my head, and I’ve enjoyed introducing my family to the wonders of Thai flavors over the years. 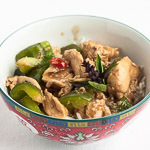 Perhaps someday I’ll get a chance to go back to Thailand; I would so enjoy a trip to Chiang Mai, but until then I’ll have to keep cooking Thai at home. Lemongrass is a frequently used ingredient in Thai and southeast Asian cooking, and for years I tried growing it in pots so I could bring it indoors for the winter, but the plants would never last more than a month indoors, and I finally decided to just stick one in the ground to see what would happen. After a very cold snowy winter it might not seem like a good idea, but those kinds of winters are not typical for our area so there’s a slight chance the lemongrass might survive. Fortunately it’s flourishing and adds wonderful flavor to our Thai dishes. This grilled chicken has a flavorful marinade that’s easy to make, and we were able to use our homegrown lemongrass and garlic in it. The cilantro bolted in the heat, so we’ve reseeded and hope to have more in a couple weeks. And speaking of growing herbs, don’t forget the Grow Your Own deadline is this Friday. Be sure to visit the Kitchen Gadget Girl blog for more information about submitting your post. If you are new to the event, you can read more about the rules for participating at the Grow Your Own page. Adapted from Thai & Asian, by Deh-Ta Hsiung, Becky Johnson, and Sallie Morris. Remove the lower 2 inches of the lemongrass and the leaves, and chop the stems coarsely. Add lemongrass, ginger, garlic, shallots, cilantro, sugar, coconut milk, fish sauce, and soy sauce to the food processor bowl. Process until smooth. Trim the chicken breast and put them in the gallon plastic bag (or marinating dish). Pour the marinade over the chicken, making sure the marinade coats the chicken completely. Leave in the refrigerator for 4 to 12 hours. 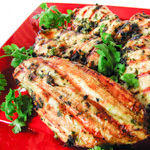 Preheat the gas grill or barbecue to a temperature of 400° F/200° C. Drain the chicken and reserve the marinade. 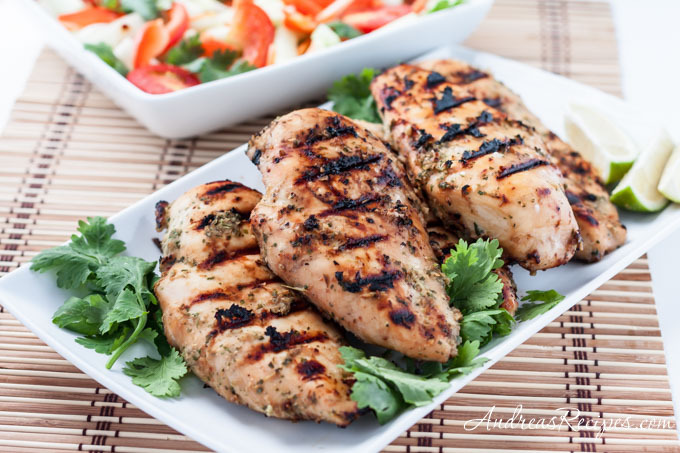 Rub the hot grill with vegetable oil to keep the chicken from sticking. Grill until the chicken is done, about 5 to 6 minutes per side. Brush with the reserved marinade while cooking. 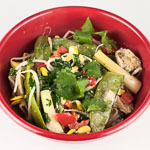 Transfer cooked chicken to a serving platter, garnish with lime, cilantro, and chiles, and serve. Prep time does not include the resting time to marinate. If you can't find lemongrass, use the zest of 1 lemon. If you can't find palm sugar, use light brown sugar. Oh this sounds so tasty. I don’t know why I haven’t tried growing lemongrass. i absolutely love thai food thanks for the recipe! Yay! I’m so glad your lemongrass survived Winter. If you have enough lemongrass, you can crush one stalk flat like a paintbrush and use it to brush on the marinade. Nate, actually we planted the lemongrass this summer, so it hasn’t yet experienced a Northern Virginia winter. Crossing my fingers! What a wonderful recipe! Congrats on the Saveur recognition. I’ve not tried growing lemongrass, but if you can do it after experiencing a cold winter, I may be able to grow it in my garden also. Question: where do you find palm sugar and what plant does your come from? Thanks. Thanks Christine! Palm sugar comes from various palm plants and is usually found in Asian grocery stores. 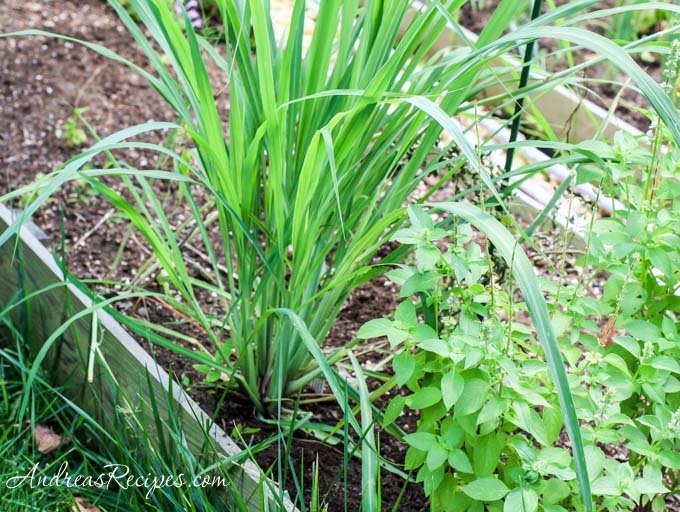 Just curious did your Lemongrass survive the winter? I like in the PNW we do have milder winters but do get some freezing weather I take my lemongrass plant inside every winter, would be great if I could plant it outside! !